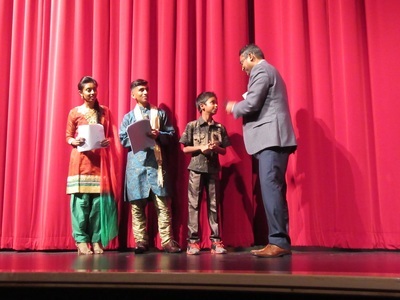 If you enjoyed Durham Tamil Association events in the past and present, please don't forget to become a full fledged member. DTA is proud to celebrate the Canada's 150th Birthday with City of Pickering, Town of Ajax and City of Oshawa. 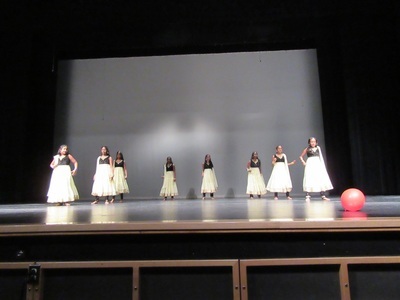 Day time events DTA had booth in City of Oshawa & City of Pickering, and we had performances in City of Pickering. Evening show we had the band perform on the stage in Town of Ajax. 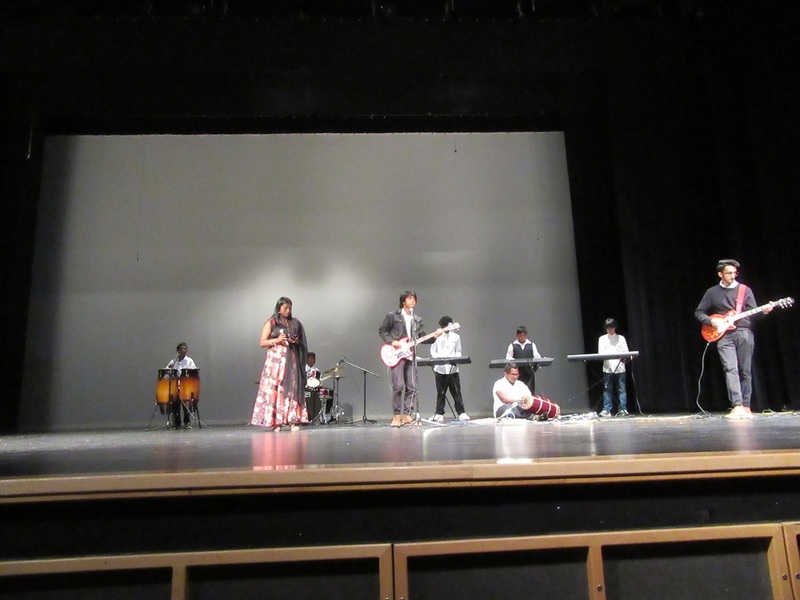 Thanks to teachers, performers and volunteers who made this possible. 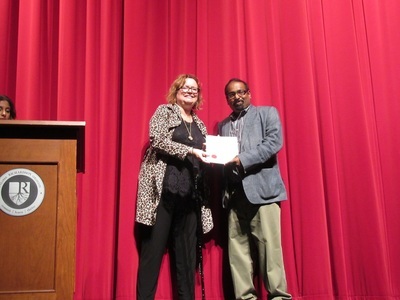 Durham Tamil Association mourns the loss of it's guiding light and a true friend, Rest in Peace dearest Roland Rutland. DTA’s 17th Annual BBQ Sports meet was held on June 25, 2017 at Greenwood Park in Ajax. The event started off with various activities for all ages. The games varied from running, sac race, balloon popping, obstacle race and wrapped up with shot put for adults. Delicious foods kothu rotti, hot dogs and burgers were served. The youths have donated the $3862.31 that was raised through daffodil months to Canadian Cancer Society. 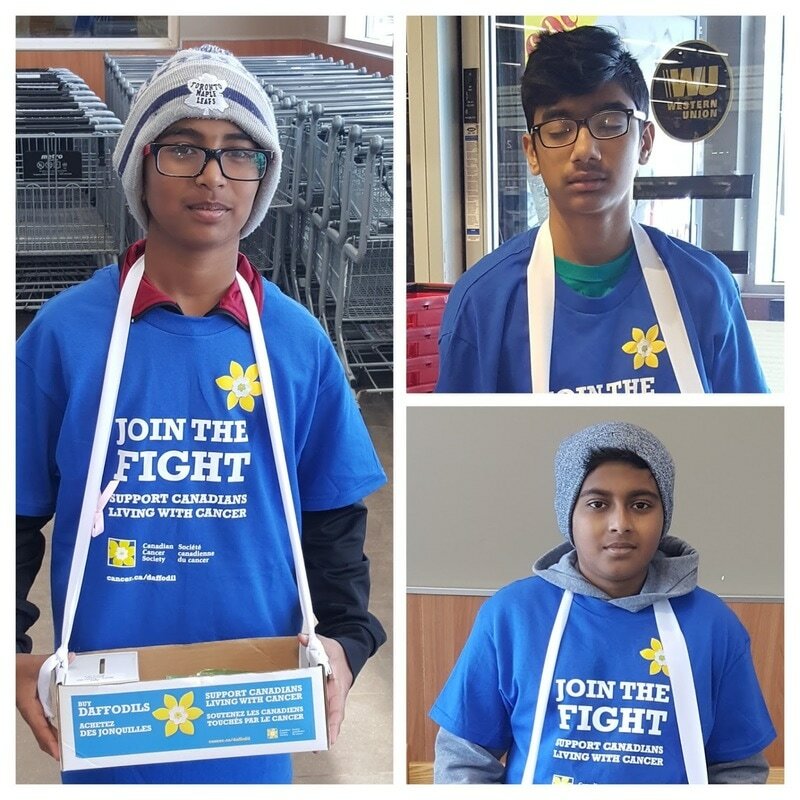 Regardless of weather, this was a successful event and thanks to all the volunteers, participants and parents for making this event a successful one. 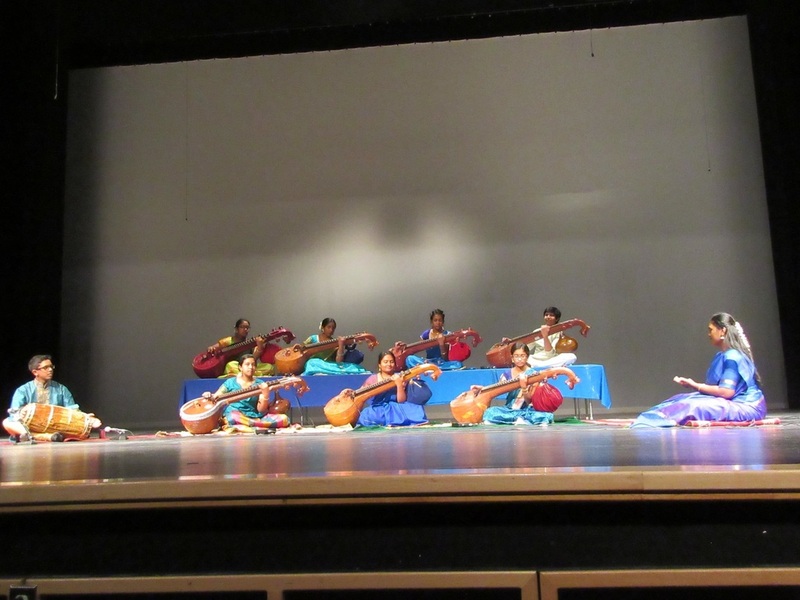 Durham Tamil Association is proud to celebrate South Asian Heritage Month on May 6th at Ajax Community Centre. 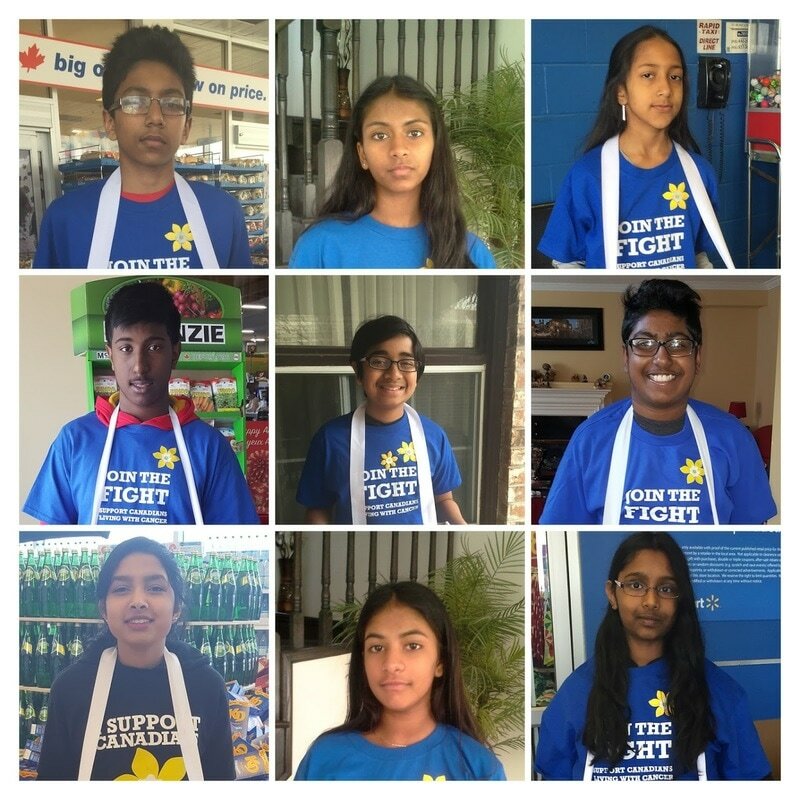 We had various activities such as Food sampling, Henna, Saree wrap, Kolam Art and Garland Making. 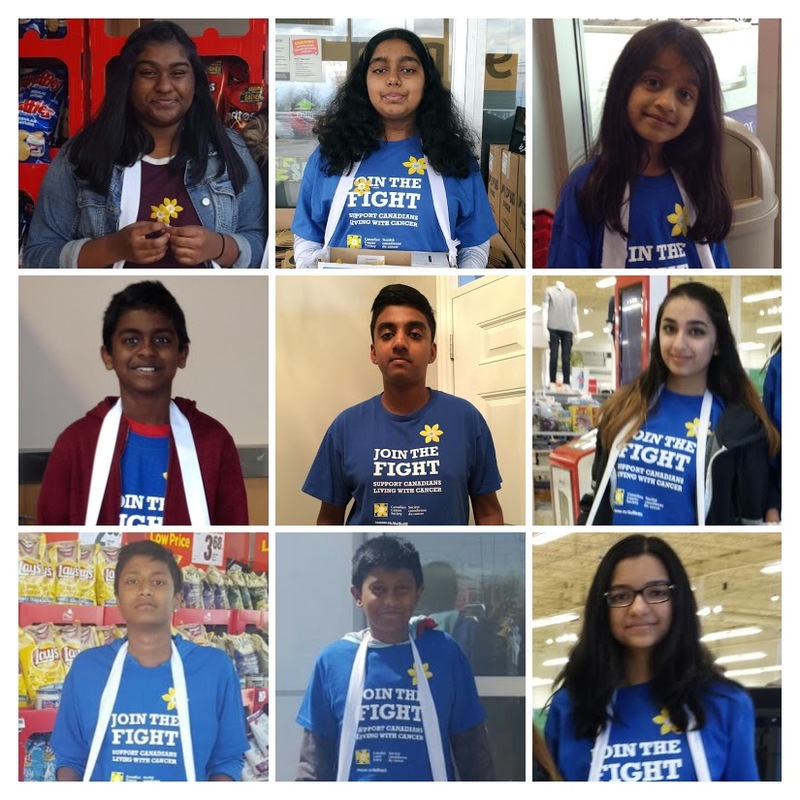 Thanks to the volunteers who made this a successful event: Subothini Thanahanthan, Rajini Nesan, Raji Nathan, Karthyka Uthayan Jokarasa, Tanus Thanahanthan, Piraveen Pathmanathan, Suweithaa Kalaichchelvan, Shanaya Gaffar, Fadheela Ahmed, Kishani Sivanesalingam, Neiththa Sivakumar, Thuvaraga Ranjanathan, Fauzina Gaffar. 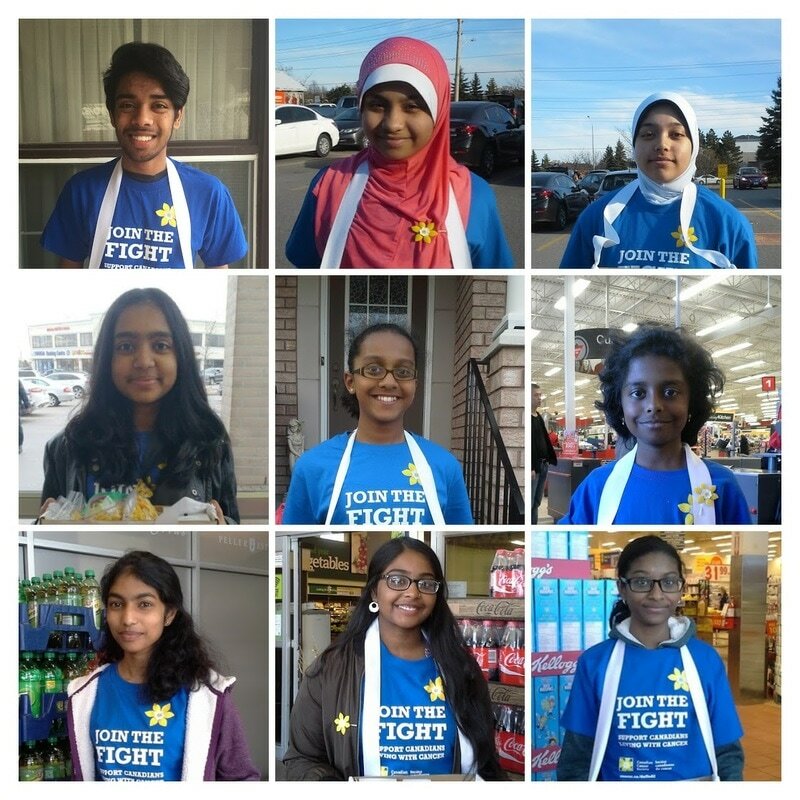 Durham Tamil Association youths have been fund raising for Canadian Cancer Society’s Daffodil Campaign across Durham regions (Pickering, Ajax, Whitby and Oshawa). 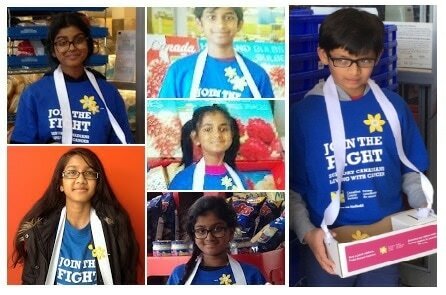 The youths have been energetically volunteered over 24 locations on April 20th to 22nd to take part in the Daffodil Campaign. It was a great success. The youth has raised a total amount of $3614.94. 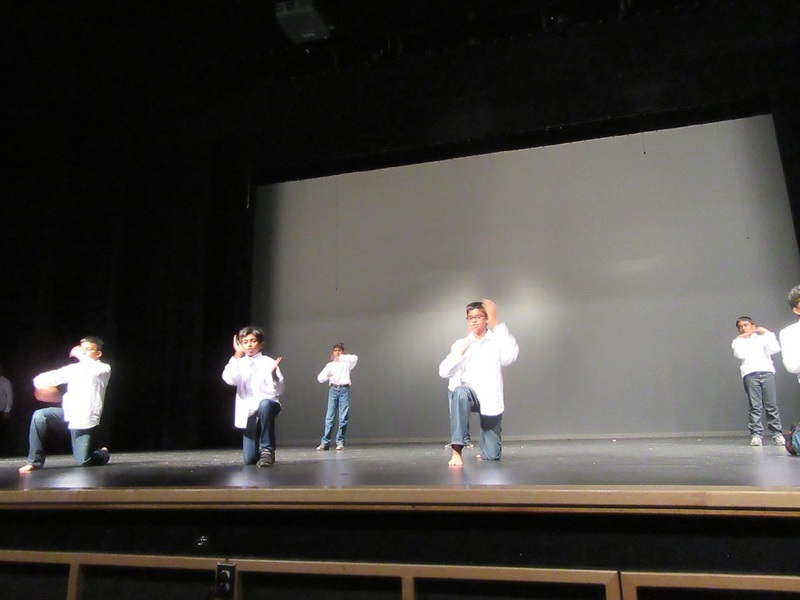 Thanks to all the parents, youths and the volunteers who made this event a successful one. Fundraisers Name: Vishnu Kaliugavarathan, Akash Ramesh, Aden Peter, Piraveen Patmanathan, Shureka Selvakumar, Amisha Pathmanathan, Tanus Manickavasagar, Jordan Francis, Sashtic Manickavasagar, Saranya Suresh, Jeevika Selvakumar, Mahita Karunakaran, Joshua Francis, Sana Ahmed, Fadheela Ahmed, Aneka Balakumar, Lakthika Kalaichchelvan, Kavea Kalaichchelvan, Kishani Sivanesalingam, Neiththa Sivakumar, Suweithaa Kalaichchelvan, Krista Ganeswaran, Emeka Balakumar, Eyalini Rajeeshun, Mithunan Rajeeshun, Arujan Vijay, Shanaya Gaffar, Rinish Uthayan, Rishan Uthayan, Dhwani Vaishnav, Varisha Mayooran, Nivathav Nauvalasweran, Varnigha Mayooran, Lianson Wilson,Rashlika Wilson,Varnigha Mayooran, Shilo Jeyarajasingam. Thank you all for your support to our Family Fun Day for all ages event. 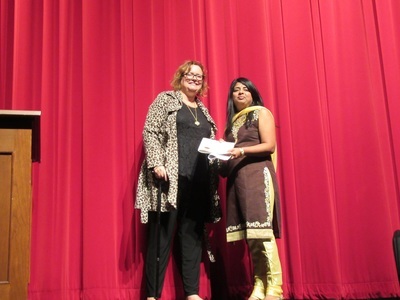 Started of with Tai chi and Health Seminar for our young at heart and wrapped up the event with full house for the movie. 2017 STUDENT SUMMER EMPLOYMENT WITH THE ONTARIO GOVERMENT AVAILABLE FOR APPLICATION PLEASE CLICK HERE TO CHECK OUT THE JOBS. 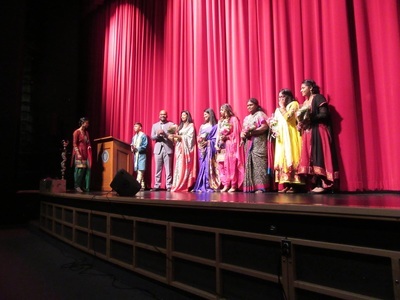 Durham Tamil Association along with Tamil Cultural and Academic Society of Durham will be joining Neethan Shan Founder and Chair of Tamil Heritage Month Committee and Town of Ajax to proclaim the month of January as the Tamil Heritage Month. This will be first of many joint coordination joint projects that DTA will be working with TCASD, Sri Sathya Baba Centre of Durham, Institute of Academic and Fine Arts of Durham this year. It’s our pleasure to invite all of the DTA members to join us at the Tamil Heritage Month 2017 opening ceremony being held at Ajax Town Hall located at 65 Harwood Ave S, Ajax tomorrow January 4th at 6 PM also mark your calendar for the 15th of January from 11 AM to 4.30PM at Pickering Town Center. This is a momentous achievement for united Tamils in the Durham Region and we certainly hope to see you all there. Tomorrow's evening will commence with THM proclamation from Town of Ajax followed by a number cultural program being organised by DTA and TCASD. Durham Tamil Association is please to inform you all that according our constitution, we held a General Meeting last Sunday December 18th at East Shore Community Center located at 910 Liverpool Road. The meeting was attended by a large number of DTA members. During the meeting, members were presented with secretary report and treasurer report providing details on the current state of Durham Tamil Association. 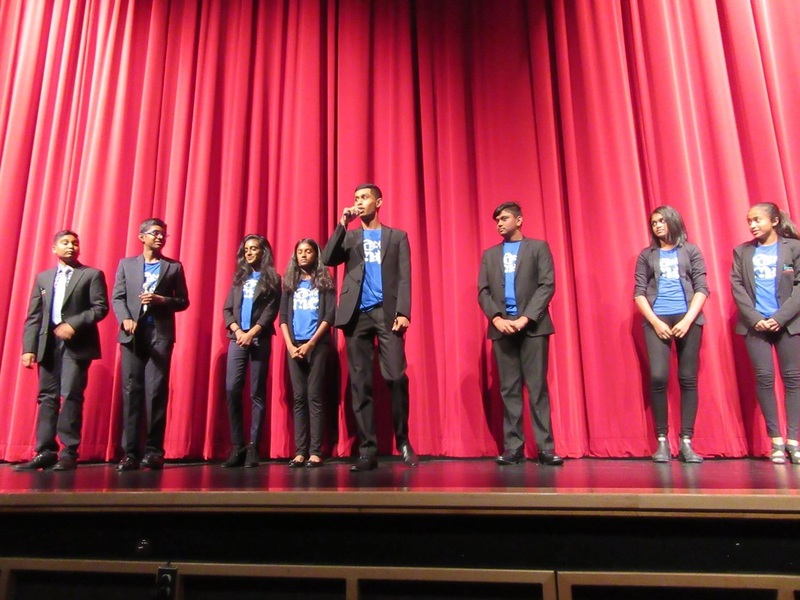 Members were notified of this General meeting in writing in Nov. 30th requesting to nominate potential members for the 9 executive roles including the President, Vice President, Secretary, Treasurer, Youth Coordinator, 3 other executive member roles. Members were given up until 6PM Dec. 18th to nominate candidates for the executive’s elections. At 6PM Dec. 18th, the candidate nomination forms were reviewed by the election committee led by Mr. Rabhindran Rajadhurai and supervised by Mr. Sinnadurai Mahendranathan. Members had nominated 9 candidates for the executive positions and their eligibility was reviewed by the election committee. Since none of the executive positions were contested by more than one qualified member, the elections committee made the decision then to put a motion to the members who were gathered at the General meeting to approve the appointment of the executives based on the nomination without the voting process. The motion moved by Mr. Sinnadurai Mahendranathan, seconded by Mr. Rabhindran Rajadhurai and unanimously accepted by the attending members. We congratulate the new executive committee as they plan to take DTA to the next level. 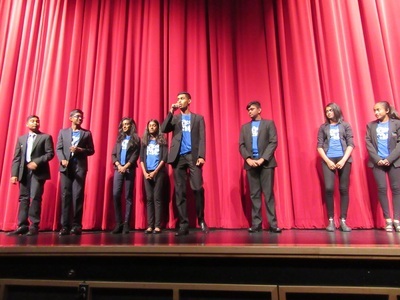 In the coming years, DTA will be focused on building unity with in the tamil community, investing more time on community reach out programs, establishing youth leadership programs and as well building on the senior’s computer literacy program and investing in health and wellness programs concerning our seniors. All official communication from DTA will be coming from the executive members mentioned above through DTA communications committee. We look forward to working with our members, other community leaders and representatives from all levels of Government. The Durham Tamil Association ( DTA) community came together for their 15th Annual Christmas party on December 18th at the Eastshore community centre, Pickering. Volunteers, Parents, along with their children participated in the festivities and the event provided a number of activities for both the young and old. The evening started off with a children’s carol service organized by DTA youth volunteers. Children age 3-16 participated in the carols and sang with such enthusiasm the audience gave them a standing ovation.The kids then got a chance to showcase their creative talents with arts and crafts that depicted the christmas themes. It was great to see all the parents having a good time with their children and spending quality time enjoying the festive mood. There was lots of food and drinks that were served to the guests throughout the evening. Many thanks to our sponsors that allowed us to host this event free of charge for our valued members. The highlight of the evening was the arrival of Santa Claus, he brought a load of presents so that every child at the event received a gift. They took pictures with Santa and shouted out with glee! Every guest was treated to a sumptuous pizza dinner with a variety of drinks. 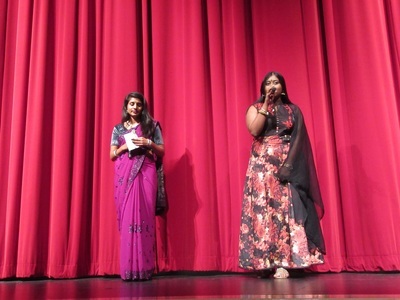 Needless to say guests gathered at the event had a great time with lots of laughter and great conversations, and it was amazing to see the tamil community come together once again to organize such a great event at a very busy time of the year. This was another testament to the unity and spirit that has revived the membership at large where everyone has a role to play whether it was decorating the christmas tree or simply helping with handing out the gifts. Special thanks to the executive committee who once again put on a great show and every detail was taken care of to provide the members a memorable experience. Happy Holidays! 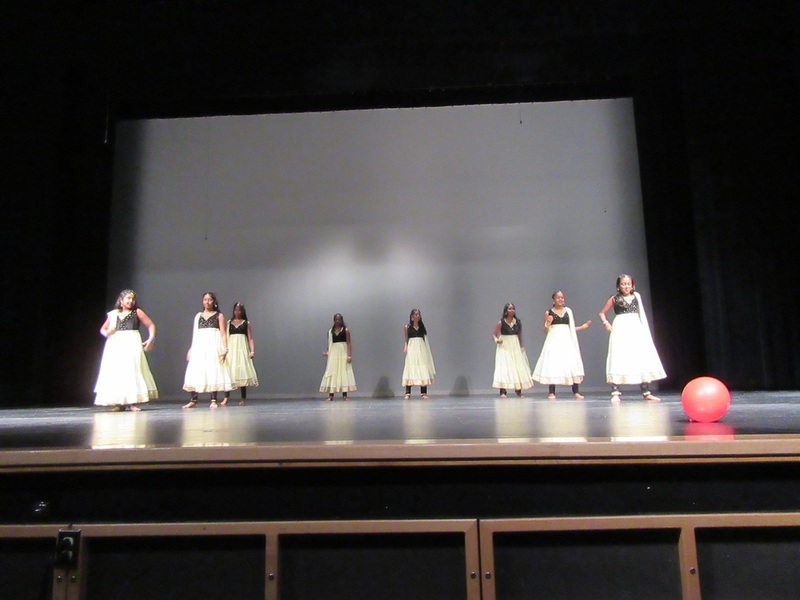 DTA puts together a successful 15th annual youth festival with many programs enjoyed by a packed auditorium. At times, there were standing room only for those who joined late. The festival was attended by many dignitaries who congratulated the hard work of DTA youths through out the year. 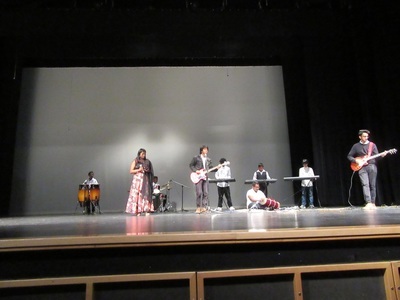 This year's youth festival was entirely organized by the youths and delivered by the youths. Congratulations to all who were involved and sincere thanks to our active sponsors. 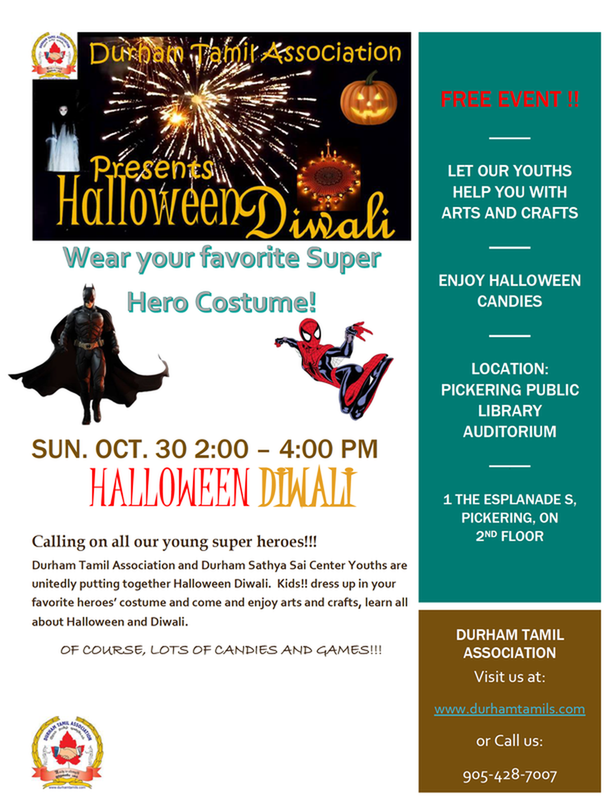 Durham Tamil Association invites you and your family to a united Tamils of Durham BBQ and Sports Meet. Please mark your calendar on Sunday June 26th in Town of Ajax’s Greenwood Conservation Area Park. We have various games for kids, youths, and adults along with delicious food. It is a great way to spend a fun filled day with your family and friends. For more information call us at 905-428-7007. Tasty BBQ Lunch - Sri Lankan Kotthu, Burgers and Hot dogs. PLEASE SEND US YOUR RSVP TODAY ONLINE!! Durham Tamil Association launches New Horizons For Seniors Program. 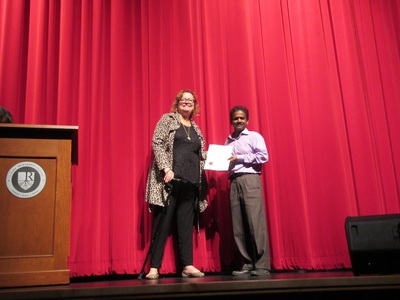 Seniors receiving certificate on their successful completion of the Seniors Computer Literacy program offered by DTA. 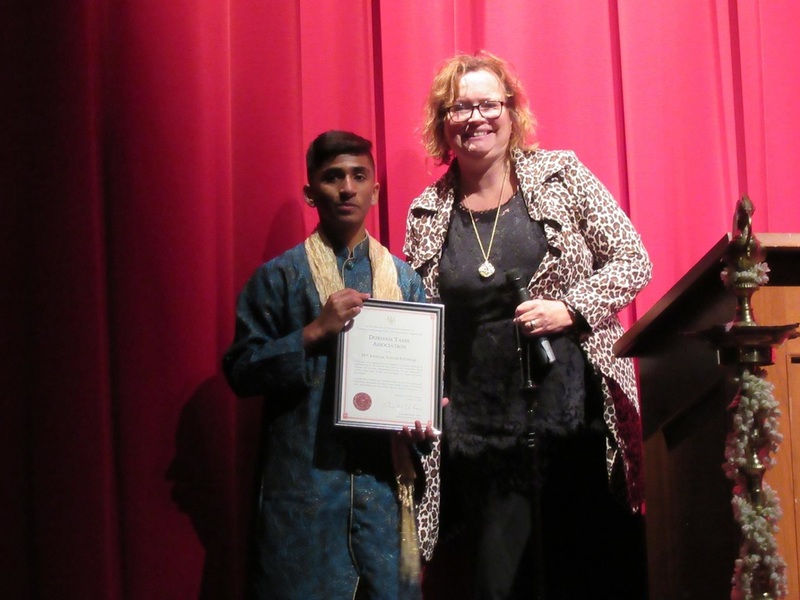 Certificates were handed out by Pickering - Uxbridge MP Jennifer O'Connell. ​In its 16th year of serving Durham communities, DTA is proud to announce a collaborative effort by by United Tamils of Durham offering Free Computer Classes for Seniors and several free activities every Sunday from 9.30AM to 12.30PM at La Roya Banquet Hall in Ajax. For details and to register please call 905.428.7007 or visit www.durhamtamils.com. This free program is made possible by our tireless volunteers and funding from our Federal Government's New Horizon For Seniors Program. We would like to thank our Honourable Parliamentarians from Durham: former MP. & Minister Chris Alexander and our Current MP. Mark Holland, MP.Jennifer O'Connel, MP.Celina Ceasar-Chavannes MP. Colin Carrie, MP.Erin O'Toole for their on going support to DTA. 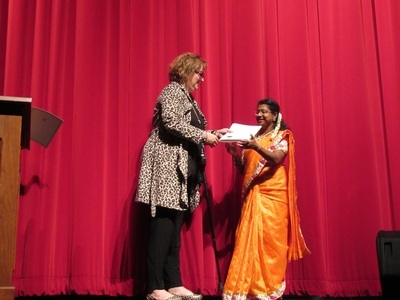 ​Durham Tami Association attended the Tamil New Years Celebration hosted by MP Mark Holland at Ajax PIllayar Temple on Saturday April 16th. 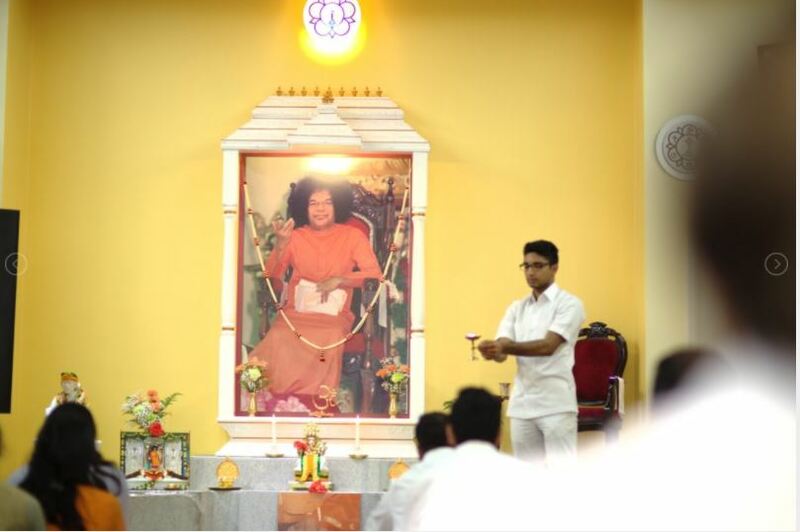 Special Pooja and Abhishake rituals were conducted by the Pundit at the temple sponsored by MP Mark Holland. 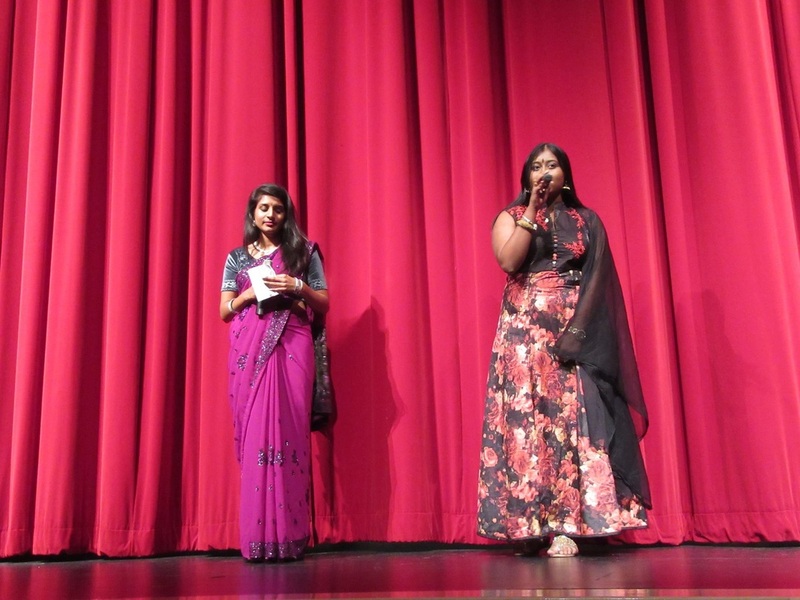 The event to was represented by members of Durham Tamil Association and Tamil Cultural and Academic Society of Durham. Lunch was provided to all who attended. MP Mark Holland presented a special certificate to the Temple recognizing the special day for Tamils around the world who were celebrating Tamil New Years. 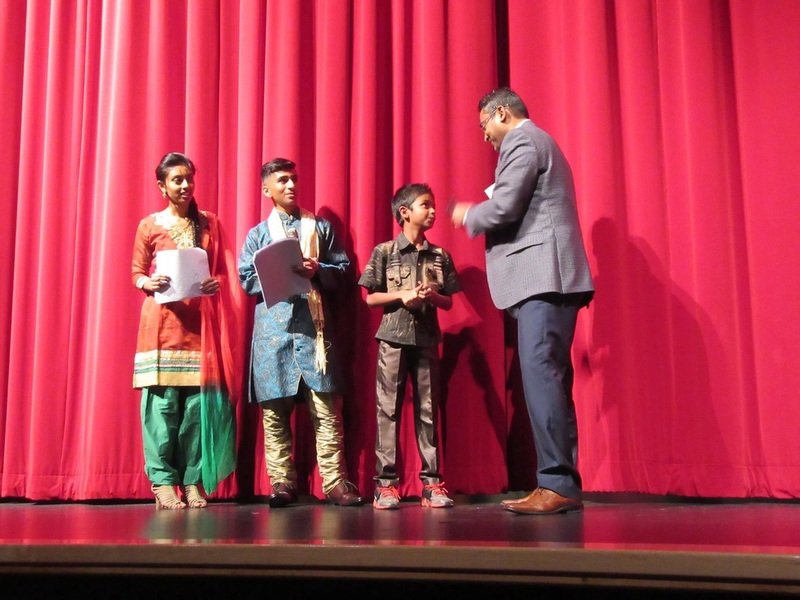 It was a proud moment for Durham Tamil Association to take part in the 25th Anniversary Celebration of Devi Mandir in Pickering, following their invite. 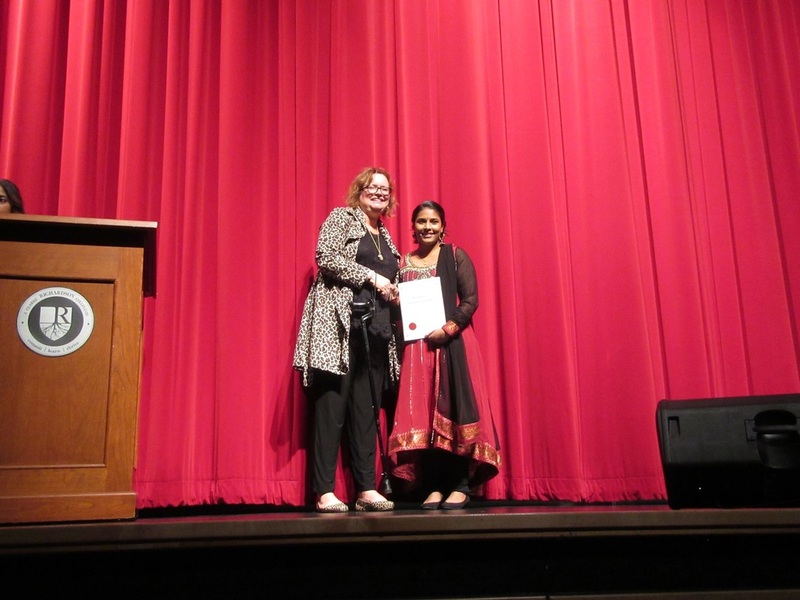 Ontario Premier Hon.Kathleen Wynne was the esteemed chief guest for the event. Many dignitaries including Chief of Durham Region Roger Anderson, Minister Tracy MacCharles, MPP Joe Dickson, MPP Bal Balkissoon, Mayor Dave Ryan, Mayor Pat Perkins, Deputy Councillor Doug Dickerson, Councillor of Whitby Lorne Coe, Councillor Peter Rodrigues, Councillor David Pickles and Mary who represented MP Corneliu Chisu were in attendance. 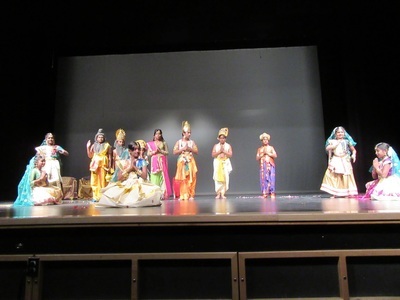 Durham Tamil Association was invited to present a introduction as a pioneer community group of Durham and to present a classical Bharathanatyam. 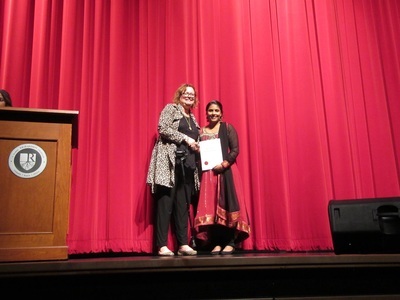 Ms.Mathumitha Baskaran who is the student of Mrs. Shiyama Thayaalan gave a stunning Bharathanatyam performance, which was appreciated by Ontario Premier Hon.Kathleen Wynne and many others.